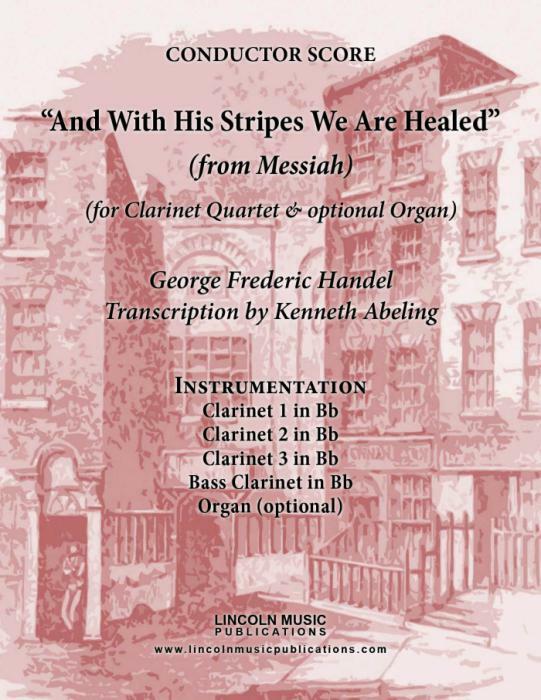 And With His Stripes We Are Healed from George Fredrick Handel’s Messiah, transcribed for Clarinet Quartet. This is an advanced intermediate transcription from Part II of Handel’s Messiah and appropriate for sacred Easter events. The organ part is completely optional but will enhance the transcription if available in a church setting and employ an organist!